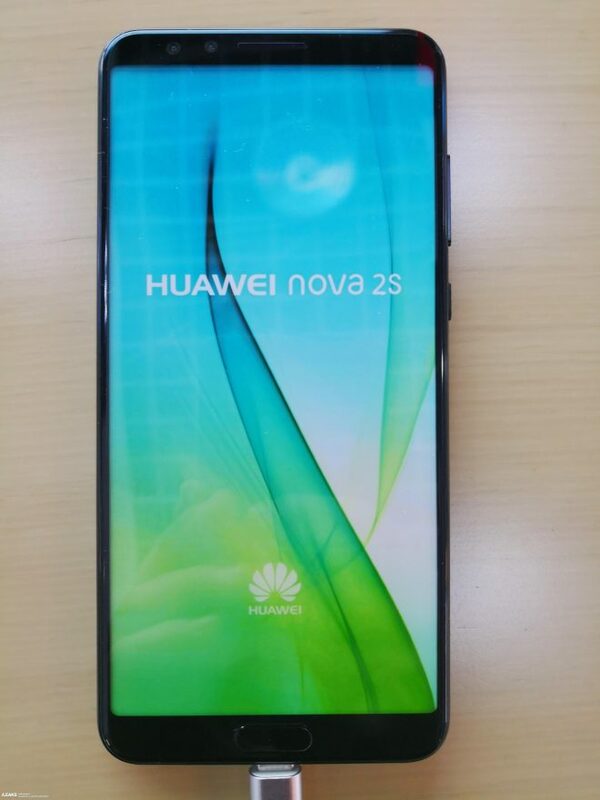 Huawei Nova 2S just popped up out of nowhere, while we expect the launch of the Huawei Nova 3 to happen. The device comes fresh after the announcement of the Honor V10 earlier this week and it feels a bit like a Honor V10 Lite, but also with a plus for the front camera. The design sure is similar to the Honor V10, thanks to the physical Home button with fingerprint scanner. It’s also similar to the recently leaked Huawei Nova 3, by the way. Covered with glass at the back and sporting a metal frame, the Huawei Nova 2S also offers an 18:9 6 inch screen with a Full HD+ resolution. We’ve got a dual 20 + 16 MP camera at the back, as well as a dual 20 MP front shooter. That’s unlike the Honor V10, which has a singular 13 MP front shooter and that’s it. Inside the device there’s Kirin 960 processor, a last gen choice compared to the Honor V10’s Kirin 970. We’ve also got 6 GB of RAM and probably 64 GB of storage and a microSD card slot. The OS on board is Android 8.0 Oreo with EMUI 8.0 on top. It’s not very clear when this phone will debut, but odds are big that it will come on December 5th, when the Nova 3 is also due. It could end up as a Chinese localized version of the Nova 3 and the price of $400 is being thrown around. An NFC chip and HiFi acoustics should also be on board.